This new book in the successful Healthy Living formula - inspirational stories followed by positive, practical medical advice for caregivers and patients - addresses one of America's most frustrating and dangerous recurring conditions. Diabetes isn't just an illness anymore: it is an epidemic in American society that has increasingly been explained as an outgrowth of our lifestyle choices. 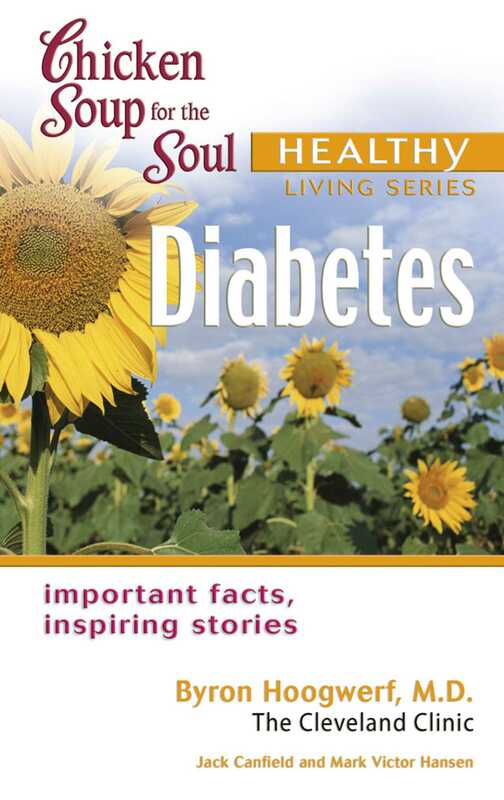 This book explains what causes diabetes, how to prevent it—especially how to prevent it in loved ones like husbands and children—and most importantly how to live well once you've developed the condition. Most of us know what we should do; this book gives you the inspiration you need to actually follow through. In the Healthy Living series, Chicken Soup for the Soul partners with the nation's top medical experts and organizations to give emotional support and important information to people with specific medical needs. The books feature approximately twelve positive, heartwarming stories from real people, followed by relevant expert medical advice that will positively impact the reader's life. Subjects such as diet, psychological issues, family relations, and alternative therapies exist side-by-side with traditional subjects such as understanding common medical terms, the effects of treatment options, and the doctor-patient relationship. Each book contains source notes and a resources section for more information and support.